This is a 1997 Danitrio Grand Phantas Limited Edition: # 14/50. This is a cartridge/converter-fill in 18K Solid Gold. 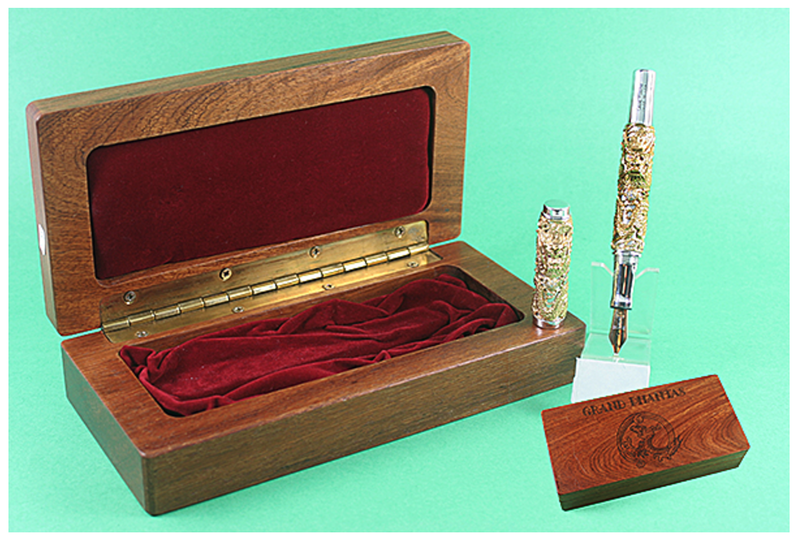 The pen has sculptured dragons on a sterling silver cap and barrel. Sterling silver gripping section as well. Decorated with diamonds and ruby eyes in the dragons. Two-tone 18K medium nib. Item #44 in Catalog #81.